All roads lead to Luxembourg this weekend as the Ireland Under 16 Men and Women’s teams will fly to Luxembourg to contest the Dussmann Trophy. Games tip off on Friday, July 14th and will run through the weekend. The men’s squad will face the Netherlands, hosts Luxembourg and Denmark in their group, while the women’s team will go head-to-head with the Netherlands, Luxembourg and Slovakia. 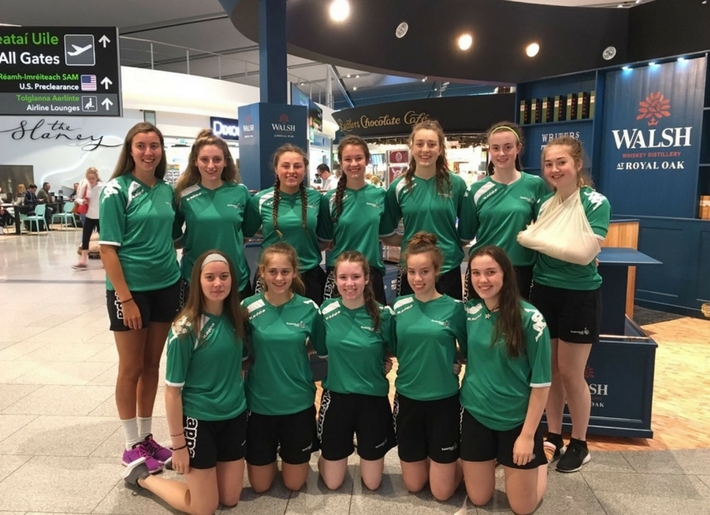 The tournament comes just a few weeks before both squads fly out for their respective FIBA Under 16 European Championship Division B.
Ireland Under 16 Women began their Dussman tournament with a disappoint 55-70 loss to the Netherlands. A slow start in the first quarter was the root cause of their problems. From the onset the Netherlands employed a full court 1-2-2 press that Ireland had encountered in their previous game in Rezé. Ireland struggled with the press more in this game and it resulted in a high number of turnovers. Katie Williamson and Ciara White were amongst the scoters as Ireland trailed 26-8 at the end of the first. The second quarter saw Ireland begin the recovery with a 9-0 scoring burst with and a much better period of play against Netherlands press. Ireland shot an excellent 38% from the 3 point line and at the end of the quarter Abby Flynn, Ciara Bracken, Lauren Darcy and Katie Walshe were all now on the score sheet Ireland had narrowly lost the quarter by 2 and were now 40-20 down. The start of the third quarter saw Ireland narrow the gap to 9 forcing a Netherlands time out with a period of superb full court pressure. Abby Flynn with 12, Ciara Bracken with 9 ( 2 back to back 3's) and some timely scores from Anna Lynch and Mia Furlong assisted the come back. Erin Maguire , Niamh Kenny and Lainey Nolan had all played their part in Ireland's defensive endeavours. Unfortunately as the quarter progressed the Netherlands superior height advantage meant they were getting too many offensive rebounds and second chance opportunities. At the end of the third The Netherlands led 56-41. The 15 point difference meant that the fourth quarter was a back and forth affair that suited the Netherlands who just had to match Ireland's scoring. Mia Furlong , Abby Flynn and Katie Walshe all contributed points and Lainey Nolan grabbed 5 offensive rebounds but it wasn't enough as Ireland lost out 55-70. Ireland secured their first win of the tournament against the hosts Luxembourg. In a close first quarter, 6 players managed to get on the score sheet for Ireland with 4 each from Ciara Bracken and Katie Williamson, a 3 from Anna lynch and baskets from Abby Flynn, Lainey Nolan and Lauren Darcy. Overall though It was a scrappy affair with Ireland unable to impose their full court defence as much as they would have liked to. The second quarter began in the same vein but a greater level of degree of intensity and some technical adjustments sparked a 7-0 Ireland run to enter half-time 33-22 up. A 3 from Erin Maguire and further scores from Katie Williamson , Anna Lynch and Ciara Bracken contributed to Ireland's 11 point lead. In the third quarter Ireland were able to maintain a 12 point lead with 40% shooting from the field , parity in rebounding and constant full court pressure . Lainey Nolan was having her best game for Ireland with 6 points and 6 boards , Niamh Kenny continued her defensive presence and added in 3 points and Ireland led 44-32 going into the fourth. With a minute to go Ireland were 20 points up 57-37 and 5 points conceded in the last minute had no affect on the game but put a slight dent in the scoreline. Mia Furlong and Katie Walshe continued to compete on the boards and on defence with Katie Williamson leading the scorers with 14. Coach Pat Price: "I thought that the Netherlands were a really good team but we didn't play up to our own expectation. We have another opportunity to improve tomorrow night against Luxembourg and we need to show exactly what we can do as a group." Coach Pat Price: "I was delighted with our physical effort tonight. Our defence came up big time and time again and our interior play was terrific. We're looking forward to the challenge of playing a very physical Denmark team tomorrow." Denmark improved as the tournament went on and unfortunately Ireland weren't able to capitalise on a very strong first half. After impressively holding Denmark to 30 points in the first half (38-30) Ireland lost their way in the third and by halfway through the fourth quarter they trailed by as many as 18 points. 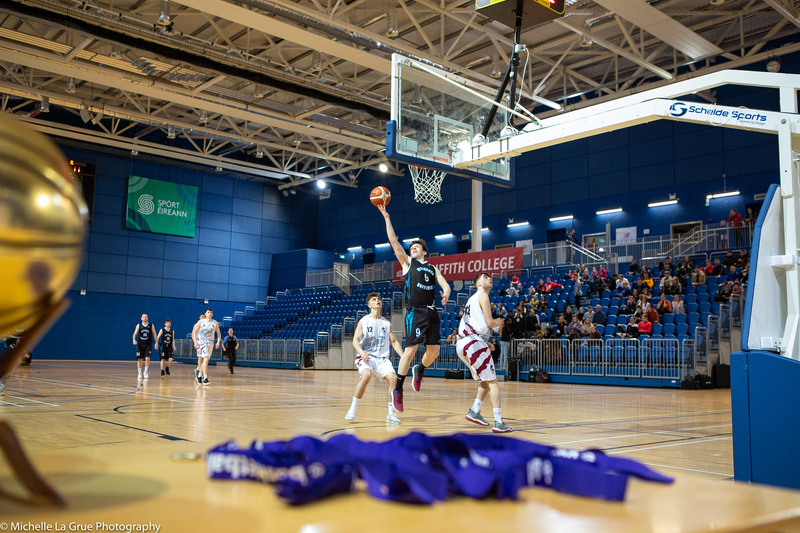 A furious late comeback fueled by Daniel Arimoro (23 points, 11 rebounds) Sanmi Fajana (11 points, 6 rebounds), two big three pointers from David Lehane and a huge defensive effort from Tiernan Howe, Ireland managed to cut the lead to just five points with two minutes remaining. Unfortunately Denmark closed out the game with some late free throws and ran out 84-76 winners. Coach Pat Price "We would find it very difficult to win any international matches while conceding 84 points so we will certainly look to improve and grow as a team during our upcoming games against Portugal and Poland this weekend".